This blog can confirm that the corruption charges against James Ibori, former governor of delta state has not been dropped and there was no plea bargain in Ibori’s decision to plead guilty to money laundering charges in a UK court. A mail sent by this blogger to the prosecution council, Sasha Wass to confirm the true situation of things with the Ibori case in UK court received the following reply. Some Nigerian Newspapers quoting Ibori’s spokesperson have claimed this morning that there was a plea bargain reached by Ibori and its UK prosecutors which resulted in Ibori pleading guilty to the money laundering charges against him. Reuters had earlier reported that the charges to which Ibori did not plead guilty had not been dropped but would remain on file. 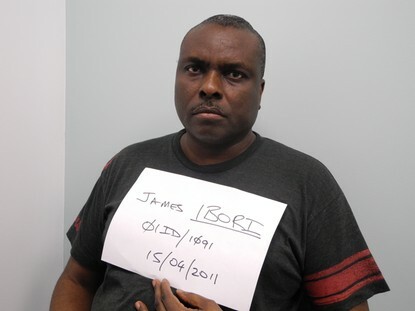 Ibori pleaded guilty to 10 counts of money laundering, fraud and related offences. He pleaded not guilty to a further 13 similar charges. He is expected to be sentenced to jail on April 16, 2012. He remains in custody until then and his traceable stolen assets is to be confiscated. UK police estimates that Ibori may have stolen as much as $250 million from public coffers in his eight years as governor. A report published early this year by Global Financial Integrity estimate that Nigeria lost $182 billion to corruption between 1999 and 2009.